Apple shocked the world with its all new iPad Pro 2018. The company’s new crop of tablets have finally ditched Apple’s own proprietary Lightning port in favor of using the PC USB-C port. This brings a lot of advantages to the iPad Pro 2018, such as being able to easily connect to other USB-C devices, charge at a faster rate, and even get faster data transfer rates. However, there is one “con” to this, and that “con” is not being able to use your traditional Lightning cables with the new tablet from Apple. That said, you’ll have to buy all-new USB-C cables in order to properly use the iPad Pro 2018. So if you follow along with us below, we’ll show you the best USB-C cables for iPad Pro 2018. Here are our top picks. Coming up as first on our list, we have Anker’s Powerline+ II. Anker has mastered USB-C charging cables with this one, allowing you to not only quickly juice up your iPad Pro, but transfer data fast, too. The Powerline+ II was designed for lasting a long time as well. While there might be only one cable in the package, it’s made with a nylon-braided insulation, that will last up to a whole 30000 in bends and more. Anker actually allows you to pick your length — you can choose between 3 ft and 6 ft. This one is universally compatible, meaning that you can use it for any USB-C compatible device — sure, it’ll work with your iPad Pro, but you can also use it with any other phone, tablet, laptop, and more. 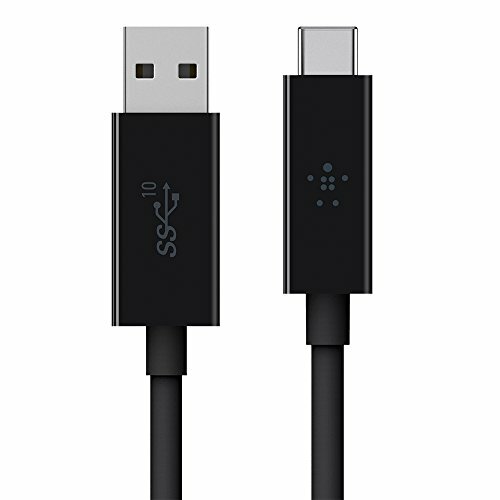 Up next, we have the AmazonBasics USB Type-C cable. This one will work with your iPad Pro just fine, providing you with the quick charging and fast data transfer rates that you’re looking for. Type-C has a reversible design, so you can plug this into your iPad Pro in almost any orientation. This one is actually certified by USB-IF, and comes equipped with a one-year warranty to protect you against any defects. Data transfer rates aren’t bad, with initial benchmarking showing around 480Mbps in speeds. Naturally, it has a power output of up to 5 volts as well. The Belkin USB-C cable comes in first up on our list, but that’s because this cable is made out of high quality materials. Suffice to say, it’s going to last you thousands of use — easily a couple of years — before you need to replace it. There are a lot of cheap cables out there, but they usually break or become defective after just a couple of uses. 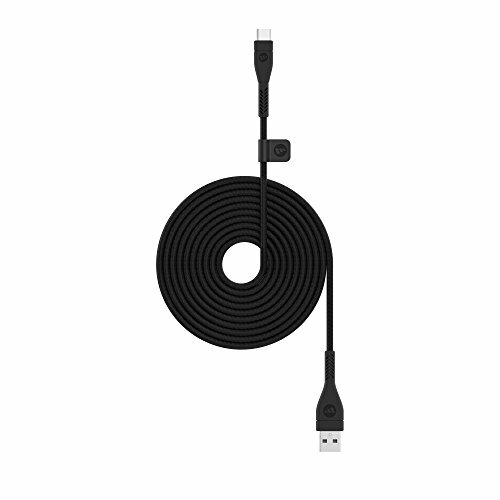 This cable from Belkin on the other hand will last you a lot longer. There’s usually frequent promotions that are happening that keep the price down as well. This is definitely one of the shorter cables out there, coming in at a meager 3 ft. in length. It’s pretty short, but enough to keep close to a computer or charger on your nightstand. 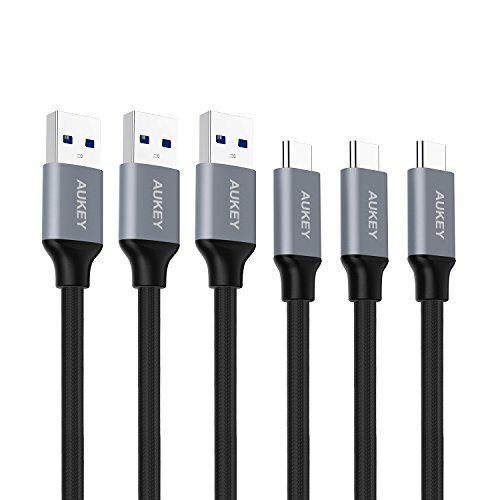 If you’re looking for some really good value, look no further than the Aukey 3-Pack of USB-C cables for your iPad Pro 2018. 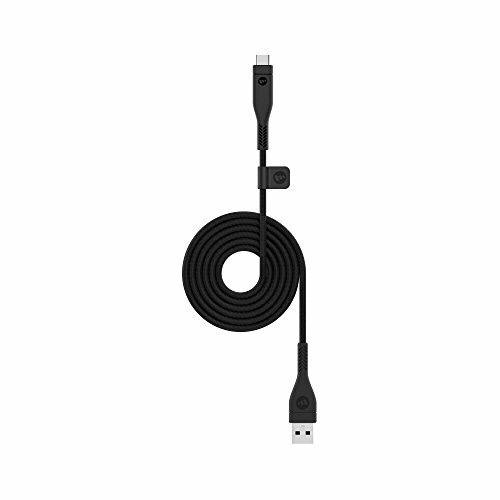 In this package are three high quality USB-C cables that you can pick up. That’s some really good value for money, when you consider that many USB-C cables cost that much for a single cable. These cables are only about 3.3 ft in length, but enough to keep your iPad Pro 2018 on a charger or connected up to a computer for data transfers. These cables have some pretty good data transfer rates, coming in at a whole 5Gbps. If you’re looking for something a little more on the unique side of the spectrum, the Volutz will be right up your alley. 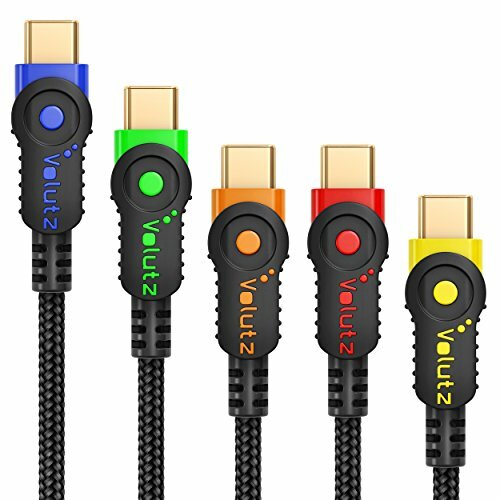 These are actually some really colorful cables. They take on a two-tone design — their primary color is black, and then there’s accents of red, yellow, orange, or green throughout. There’s some really good value for money here — it will get you five cables, and at all varying lengths, too. These cables will work really well with your iPad Pro 2018; however, their data transfer rates are a little on the slower side of things. You only get 480Mbps, which is still fast, but not like the 5Gbps or 10Gbps of some of the cables on this list. Anker’s own USB-C cable comes in as fourth up on our list, and is definitely one of the more high quality options on here. It’s made of some premium materials, so you should be able to use this thousands of times — or a couple of years — before needing a replacement. There’s only one cable in the package, but you can choose the length that’s perfect for you — you have options for 3, 6, and 10 feet. 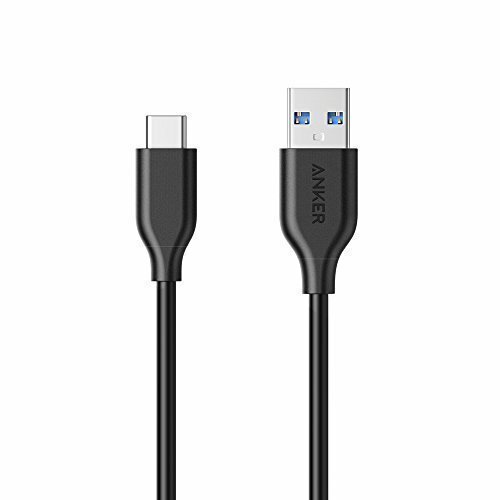 Anker actually does a really great job with this cable, even supporting high data transfer rates over USB-C. Plug it into your iPad Pro 2018, and then into your computer, and you should be getting transfer speeds of around 5Gbps. Keep in mind that that highly depends on the size of the files being transferred — for example, if you have a 500MB file you’re transferring, you won’t see that 5Gbps speed because that’s just not possible. The Mophie USB-C cable might come in as last up, but this is the because USB-C cable that you can buy for the iPad Pro 2018. It’s made out of some excellent material, and you should never have to replace it. However, if it does break, it’s backed by Mophie’s own lifetime warranty, which will give you a hassle-free replacement.